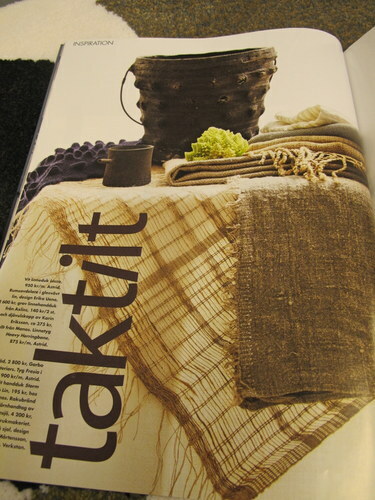 manos is represented in the trend report 2013 in Elle Interior Erika Uenos fantastic small wool throw is included in the “forest green” trend and her linen room divider, Karin Erikssons “devil cup”, towels from Axlings and Växbo Lin are all included in the “tactile” trend. Thank you! 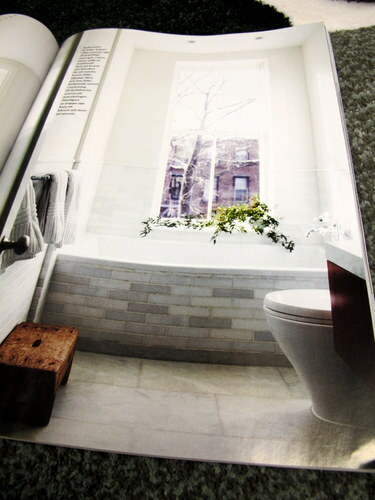 In the same Elle was this bathroom from a flat in Brooklyn. I would be very happy to have it in my flat too – light, relaxing, beautiful all at the same time. Lime and mint soap with sea kelp on top of a Leaves dish. Late summer news from manos: eco friendly soaps from skinnyskinny (not only the soaps are eco savvy, but the whole way they run their business) – for instance “Lemon and Blood orange” and Rose and Black pepper. Hand thrown porcelain cup with grass or leaves pattern. 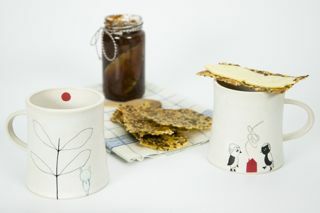 I’ve also added two new products from me -a porcelain cup and a small dish. We’ve been trying out both at home all spring. The cup is quite lovely with coffee or tea or even to just let a rose float in it… On the small dish we have served sushi and chocolate, we’ve used it as soap holder and to put the tea bag on, it’s also great for putting the cooking spoon on while it’s not used for stirring food (the spoon that is). All in all a pretty handy dish. manos now has a sales category, it’s mostly my ceramic odds and seconds yet and it is added to regularly.